I quite like the idea of a hencam number plate, but they are pretty much a waste of money, unless you have a couple of grand for something like 'HN02 CAM'. With lots of stickers with the website address in the windows! That would cost you a reasonable £250 so, should I have a small collection request on the site?! So, are there better ways to publicise hencam in a fun way? Should the site request donations? 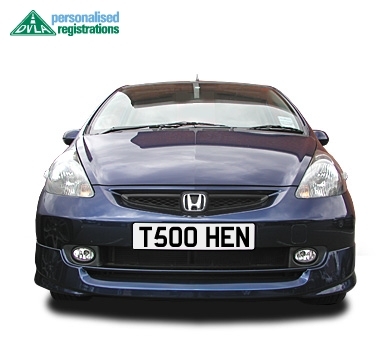 I want to qualify my vote; I don't think that a personalised number plate would be headturning enough unless it actually said 'HENCAM' which can't be done with a British numberplate. Stickers and things ARE a good idea though! I see what you mean CC.... Ok, so maybe the massive beak and comb are required!!! I am really pleased and proud of the forum as it's a really nice and friendly place, and it's all down to you guys so thank you, and you should be very proud of it too as you make it the place it is. Do more visitors = more income automatically? Or only if they donate? I'm happy to donate at any time - I've had so much support, friendship and pleasure from Hencam I'd do whatever's necessary! Posted By: Kateb Do more visitors = more income automatically? Or only if they donate? Not at all Kate, but visitors are really the life-blood of the site, because some of them will probably become regular visitors, forum members etc. I love the site as it is - I rarely get to see it in the day so the hens are usually asleep, which means more views won't make any difference to me! But, I like to think I am unselfish and if people want developments that cost then I'm happy to put in! one of the forums I am on has a seperate section which is only accessible by donation only. I'm not sure if that is a good idea but I do think that if a site, such as this one, makes you want to visit it more often and become a forum member, then the occassional donation would help pay for running the site and the cost of cameras, electricity etc. I have made many friends here and although chicken-less myself I take great pleasure in reading everyone elses stories of thier chickens and pets and adventures. Like Kate, I don't get to see the hens because I won't spend too much time on the site during the day and in the evening I am busy. I would be happy to send in a yearly donation of whatever I can afford. there's no easy way... I don't want to become a pay site, it would seem to go against the throw away fun idea of the site. I'm so very thankful for everyone's help, and that ranges from people who emailed with concern when something is not right in the coop, to those who donated, to those who give their time and friendship so freely on the forum. sounds a bit corny, but what more could you wish for?! I agree with CC, but as an add-on, I for one like to give a donation a couple of times a year, or for something specific if a new camera is needed, that sort of thing. I was wondering when Milly's birthday was. Maybe those of us who are able and wish to could send a donation of whatever we can afford in memory of her. Or maybe each year Neil thinks of something that would help him out with the equipment and those who want to can send a donation towards the cost? We celebrate Milly's birthday along with Penny and Tilly's, usually sometime in June as that is when we got them all. But I think the date we bought Milly was 13th June. And Milly's tree has flowers on the way! Will post a pic later! Any news on the inscription yet, Neil? But Helen says that's rubbish and it needs a meaningful quote or something nice...? What would be a good length for the text CC? Someone has to have a better suggestion! a star in the crown of the angels hair. Sorry it’s too long, but I can think no other. If anyone would appreciate that, it would be millyhen! Depends how big you want the stone to be really; i like your suggestion, actually, Neil; and NOT just because it's sort, but because it says it all. I will look into sorting a poll out when I get a second - work has been beyond stressful at the minute, but hopefully that will improve. The entries can be looked at here. How is Helen's knee doing? It's good to see her back on two legs again anyway, and she says thank you for all the lovely comments and kind wishes here, they were a definite comfort. Is she having some physio? Will that help to strengthen the ligaments to prevent it happening? doh! did you send me your address? Unfortunately hencam's not my full-time job so real life often intrudes I'm afraid. What Car Stickers are these then??? But Whisper your address to me and I will post some out. You have to promise to display it somewhere prominent to help spread the word on hencam, otherwise the time spent printing, trimming, laminating and posting is wasted! Can we have a car sticker please? We promise to display it for everyone to see although CD will only let me display it on his Land Rover! Hi Neil sorry i did receive it thank you and it has pride of place in my old estate car Look!!!!!!!!! Reading the intro bit that comes under the webcam picture, I had to have a giggle over how far Hencam has come. Not just "a webcam pointing at chickens" but now "Even MORE webcams which MOVE pointing at chickens"
How very far this site has developed, all from a conversation over a glass of beer, I seem to remember. Thank you for the hours etc., you have put into this, all so we can just watch hens! Watch who she tells - it's probably enough to get you physically restrained and carted off to the nut-house! I'm sure there is more stuff to be done with hencam, we just need to figure out what! What's that hen been having??? Please may I have some too? I received a "while you were out..." card from the postie yesterday, and last night an email from CC saying that she was having 'puter problems and was sending this email from a friend's computer, and that the slate had been sent and to let her know when it arrived safely. Anyway, I popped over to the collection depot this morning on my way to work, and the stone is amazing! I can't believe how good it looks, it's much nicer than those naff ones you sometimes see for sale, it's very... classy I think the word is! Pooter's fixed!!! I rang them up and they said...turn the rooter (?) off and on again. I told the man I had been Forbidden To Touch Anything, but he said it'd be all right...and it was! Hooray!! I asked on the other thread if it'd arrived (should've checked them all out first!) - glad to hear you've got it. Really excited about seeing it - the one CC did for my cat was lovely (nice and simple 'JOEY'). Very comforting every time I see it in the garden. Are we all getting invites to the ceremony, or would that escalate the security costs, with all the police that'd be needed to protect the mayor, and road closures, and fencing to make sure we didn't stand too close ... maybe a hencam ceremony would be a better option. Perhaps Penny or Tilly would pull the ribbon to unveil it?!! There will be a simple ceremony this Saturday (about 10am) - you're welcome to attend but parking might be tricky due to the road closures and crowd control! Seriously though, I think we will have some kind of unveiling, maybe try and get Tilly to pull the cover off the stone! Will the ceremony be viewed "live" please? Then we can all join in wherever we are. I will hope for some pics on here because I won't have time to long on on Saturday morning. If you smeared something tasty on a piece of cloth I'm sure she'd have a go at pecking it off! I'll probably forget about the ceremony, but will try to remember and will really look forward to the photos! For a sneak peek at Milly's stone, follow me on Twitter - there's a pic of it on there! Boo - I don't do Twitter! Will have to find out what to do now! Ha ha!! Found it! It's beautiful - well done CC, you are very talented. That looks lovely CC and as Kate said you sure are very talented. It will look superb when set into place.